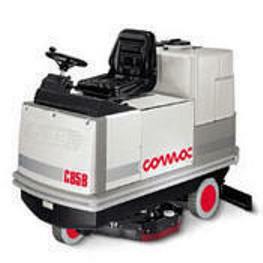 Heavy-duty scrubbing machine with disc brushes and an 85cm working width. This machine has a high operating autonomy which makes this machine extremely efficient and economical. Noise levels are below international noise level standards. The C85 is very manoeuvrable thanks to the drive wheel, which is located before the brushes so that the steering movements are smoother.